Recommend the HOTTEST Girl Toys of the Season & Earn Affiliate Commissions! It doesn't matter the time of the year - people are looking for toy ideas. They're looking for all types of gifts - birthday, special occassions. Christmas or milestones that are reached. When you don't live with the child you're buying a gift for - it can be hard to know what they'll like. 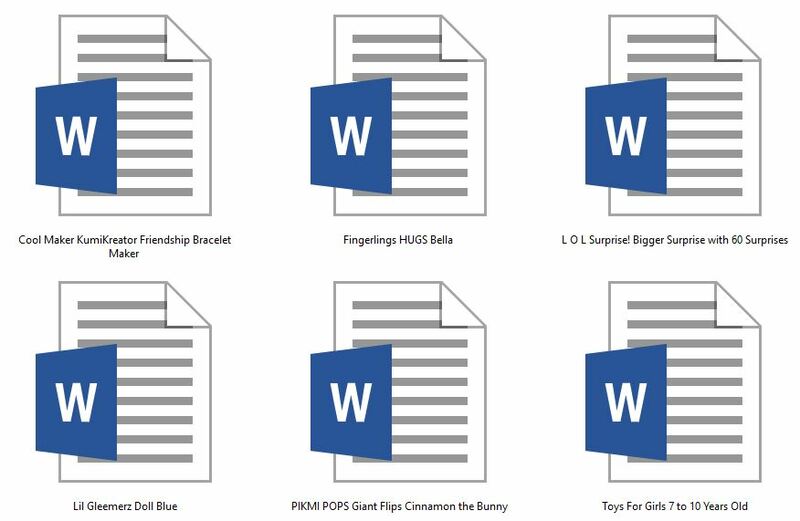 That is where a Gift Guide will come in handy. People really love them because they help them find gifts for others. As a blogger or a site owner having a gift guide on your site has the potential to earn you money. There are lot of things that gift givers consider when purchasing presents - it is the right age? Is it education? Does it encourage creativity? Is it multi-sensory? Sometimes these are important to people while other times they just want to purchase a gift that the child really wants. The products in the Gift Ideas: Toys For Girls 7 to 10 Years has a combination of all of these. That is what makes this Gift Guide so great. You'll be able to recommend products that children want and need. These toys are fun and the little girl in their life will really enjoy receiving these for any special occassion. 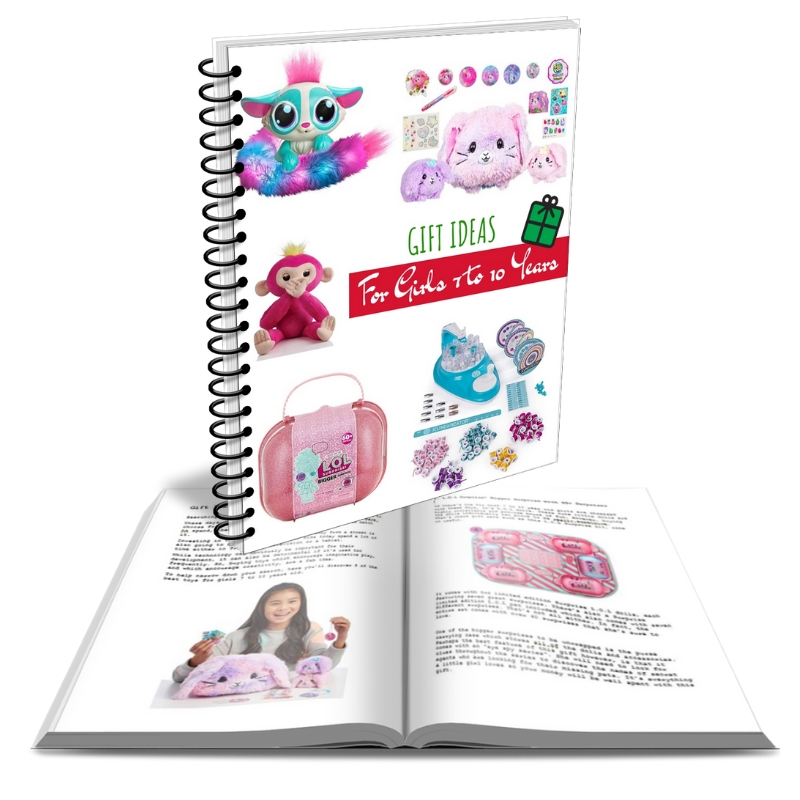 7-Page Gift Guide, "Gift Ideas: For Girls 7 to 10 Years"
Done-For-You Home Gift Guide Content Bundle (Gift Guide, Product Reviews, Product Images, Keywords) – Get It All For $17! 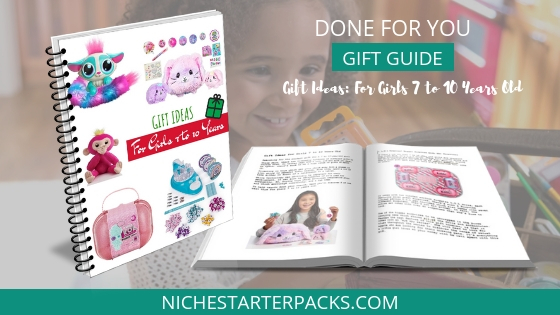 You're going to get a 7-page Gift Guide specifically for girls that are 7 to 10 years old. You can use this in your side bars to attract people during the holiday season or you can create a Pin that offers this as a free opt-in to bring holiday searchers back to your site. In fact you can even use the eCover as a Pin. It might be a little different in size, so if that doesn't work for you - copy the cover I've provided in Canva to make your own Pin. Please note that the Amazon links for each product is inside this Gift Guide, but it is against Amazon's terms to have affiliate link in PDFs. That is where the product reviews come in so handy. At the bottom of each brief description of the product link it to your site where the product review is at. 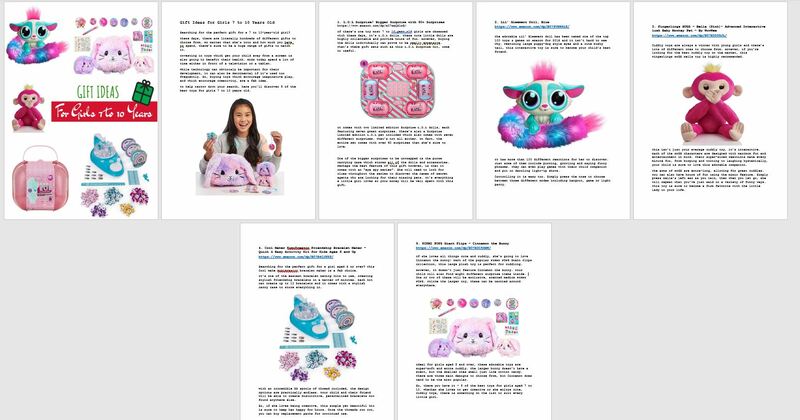 Includes a brief introduction and conclusion, then gives a description of five different toys that are great gifts for girls between 7 to 10 years old. When making buying decisions people read and look at reviews. That is why Amazon has the option to leave a product review on all of the products that they offer. These product reviews are where you're going to have the potential to earn affiliate commissions. All of these products are on Amazon, but you can look at other stores that offer them and find an affiliate program if you need to. All of these blog posts are at least 400+ words. Keywords are an important part of on-page SEO. I’ve come up with 100 long tail keywords. 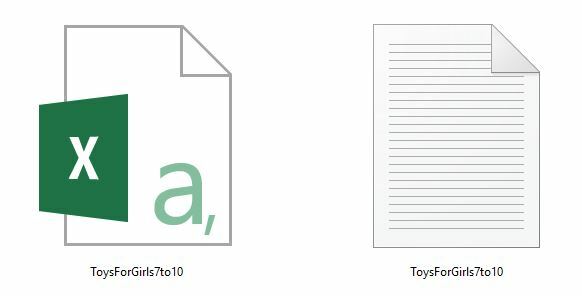 These keywords include words broad ones like toys for girls, but they ALSO include keywords you can use for each toy in that is included in this DFY content bundle. You’ll find some of these are what people like to call low-hanging fruit keywords while others have more searches, so find keywords that have both types of searches and use them throughout each product. I'm not suggesting to keyword stuff, just to use them throughout the articles. The great things about these keywords is that they are all high-targeted keywords that have the potential to easily get on the first page of search engines with. Search engine optimizing is important, so get a head start with this list. When you use Amazon these images are free and you can easily go and get them yourself...but why when I've already taken the time to grab them for you? You can use these inside the Gift Guide, on your blog posts, to create CTA images or Blog Post Images. Use them again and again. I've already used a few of the images inside the Gift Guide and formatted it. Having them all easily at hand is going to save you so much time!